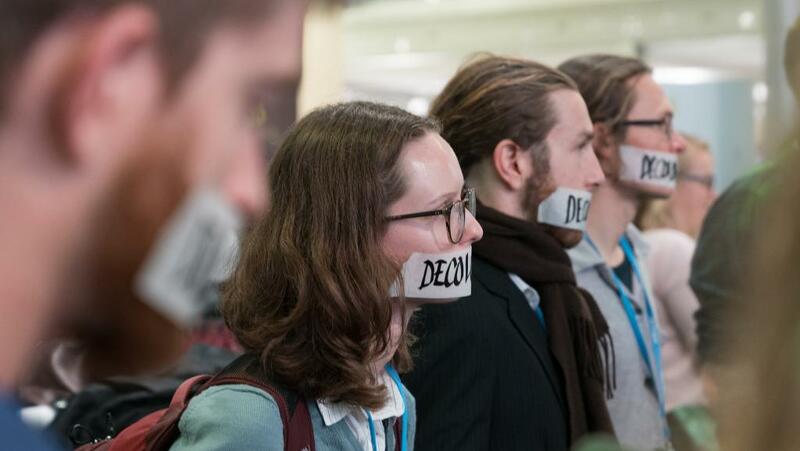 Protestors made themselves heard at one of the few US government-hosted events at the ongoing climate summit in Bonn, Germany. The event titled “The Role of Cleaner and More Efficient Fossil Fuels and Nuclear Power in Climate Mitigation” was held on the sidelines of COP 23. Demonstrators, protesting the Trump administration's support of fossil fuels and intention to pull the US out of the Paris Agreement, interrupted the event and staged a walk out, leaving the hall almost empty midway. The protestors packed the hall before the event, briefly delaying the beginning. After a presentation by White House energy policy adviser George David Banks, protestors began singing a version of the song “God bless America”, altered to carry an anti-coal message. Following the walkout, protestors continued the demonstrations outside the hall. Panelists, meanwhile, presented to a near empty hall. The speakers at the event argued that coal would be used for some time to come and the way to go was to explore clean coal, which includes a system of technologies to clean up the emissions from coal, including Carbon Capture and Storage (CCS), and the potential of small nuclear plants. The arguments were supported with reports published by energy think tanks, including the International Energy Agency (IEA). However, there is overwhelming support to cut CO2 and other GHG emissions by moving towards renewables. In fact, renewables have been one of the focal points of climate action. At the conference, hundreds of events and presentations were dedicated to the role of renewable energy in tackling climate change. In contrast, the US government event was one of the few ones that promoted clean coal. The US, if Trump's announced intentions are followed through on, will be the only country in the world to be outside the agreement. The two other countries, which had not signed the agreement—Nicaragua and Syria (due to dissatisfaction with the strength and political instability respectively)—have in the past month expressed support and intention to join the treaty. The US is currently the second highest emitter in the world after China and the highest historically.